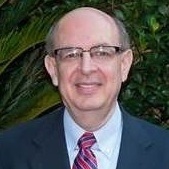 Gary is a Texas native and is a well-known Investment Adviser Representative and has conducted numerous educational and light-hearted seminars for fraternal organizations, senior groups, church groups and public workshops in the Kingwood/Houston area for over 20 years. He is a Division Manager/OSJ with NEXT Financial Group, Inc. based in Houston, Texas. Gary specializes in income planning for his retirement clients. He has been trained by the nationally known Phil Lubinski, CFP® in the implementation of The Income for Life Model®, which uses a time-segmentation investment strategy with the objective of providing an inflation-adjusted income for life. Gary has also had the benefit of being trained by the nationally known Ed Slott, CPA in retirement distribution planning with a high concentration on tax-efficiency and distribution strategies. Gary conducts Savvy Social Security Planning for Boomers workshops which teach strategies for the best time to take your Social Security check. He was trained in these techniques and strategies by Social Security expert Elaine Floyd, CFP®. He also conducts classes specifically designed for women, Savvy Women Invest On Purpose®. This engaging seminar helps women reveal strengths to accomplish more with their money. In addition, he conducts Retirement Planning Today® classes at Kingwood College. These comprehensive six-hour classes are designed for pre-retirees and retired persons. The course outline includes Retirement Needs & Expenses, Retirement Roadblocks & Mistakes, Retirement Plan Distributions, Investments, Risk Management & Asset Protection and Estate Planning. As a professional in estate planning strategies and financial services, Gary provides a comprehensive financial analysis and customized financial and retirement plans designed for the specific needs of each individual on a case by case basis. He has made a strong commitment to provide each one of his clients with personal attention and the respect they deserve. Gary holds the Series 7, Series 63, Series 65, Series 24, Series 30, Series 31, and Series 51 licenses. Long-time Kingwood residents Gary and Linda have been married for over 25 years. Linda spends her time gardening, reading, keeping the office organized and giving computer technical advice and guidance to the firm. They are the proud parents of six cats, and six children spread out from Seattle to New York City.